Our supplier for natural stone worktops, granite, quartz, marble and silestone, can gain access to almost all colours that are imported into the UK. 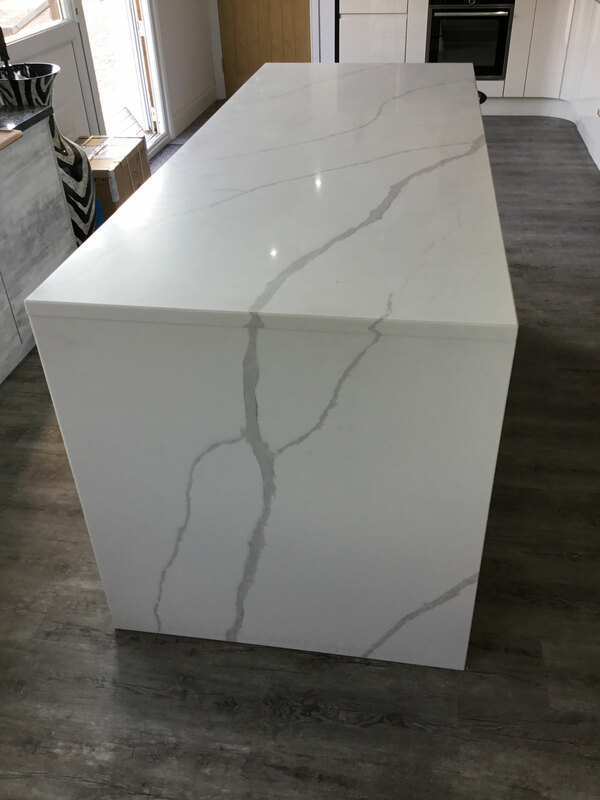 So if you have seen a natural stone sample somewhere and would like to have it as your kitchen worktop, simply give us the name of the colour and we will try and source it for you and provide you with a very competitive quote. 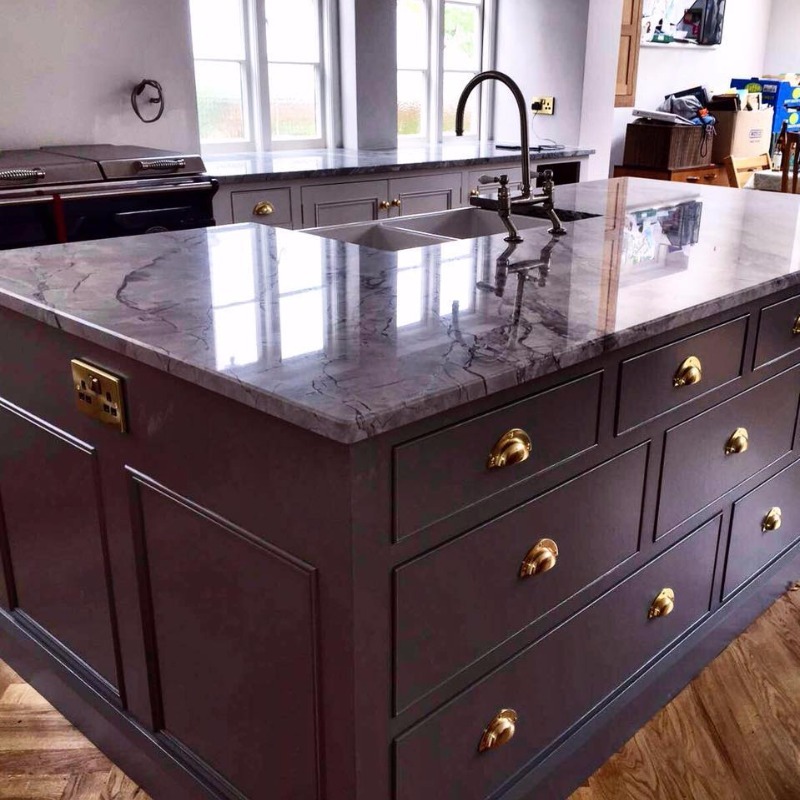 If you are selecting Granite for your new kitchen worktop and are struggling to choose a colour/design, we can arrange to take you to visit the largest distributor in the UK for Granite, which is where our granite comes from. There is a huge difference in the colours, veins and patterns in granite from a small sample to the size of pieces you will have on your worktop. We can arrange a tour whereby you get to see all the granite slabs in full size that are displayed and if you make a selection, these slabs can be reserved especially for you. We would then get them costed via our supplier. To view some of the vast choices of granite held at our distibutor, please go to www.beltrami.co.uk and look under the granite section. 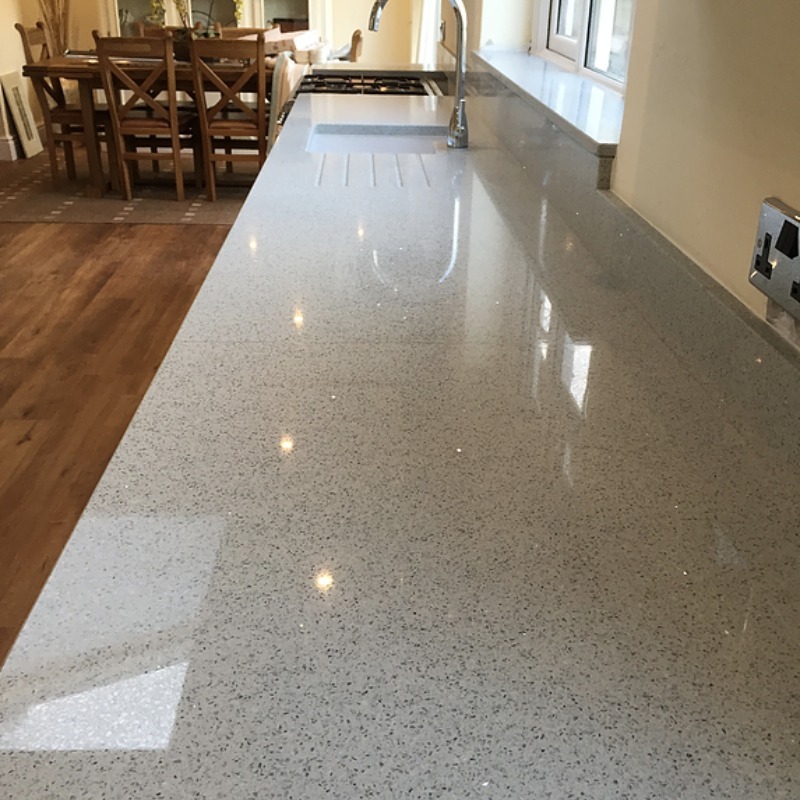 We are more than happy to offer this service as part of our design for your new kitchen, as getting the worktop absolutely right is a key part of your decision, as granite varies greatly from a small sample to a full size slab. 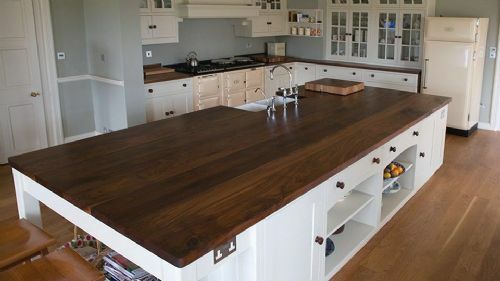 Real wood worktops can produce that stunning finished look to any kitchen. We have access to an array of natural wood products, including oak (natural and stained finishes), walnut, iroko, beech, bamboo, maple and much more. Every species has been expertly sourced, both in terms of the quality of the timber itself and the precision of the equipment used in manufacture. As a result, we are able to provide the finest-quality, sustainable wooden surfaces, all of which are produced to demanding standards. 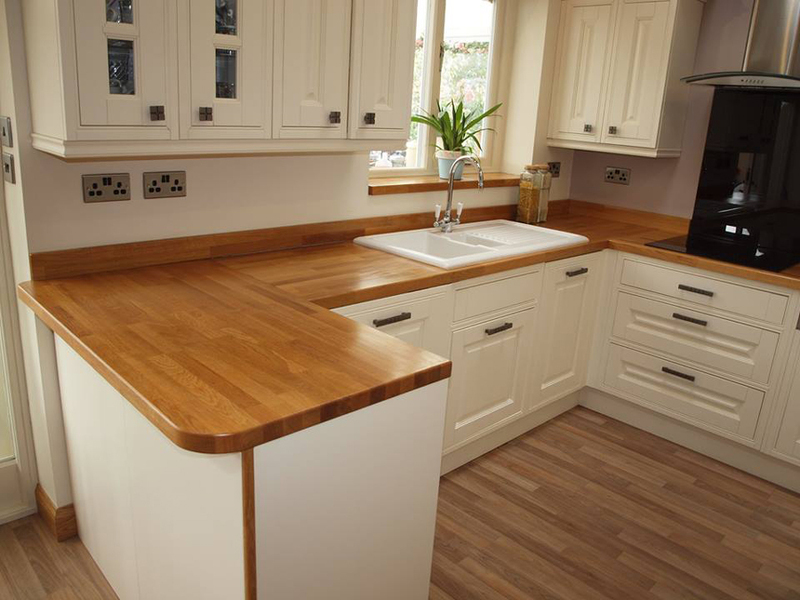 These elements, coupled with our outstanding customer service and extremely reasonable prices, provide you with that real wooden worktop in your kitchen, that will be the envy of your friends. 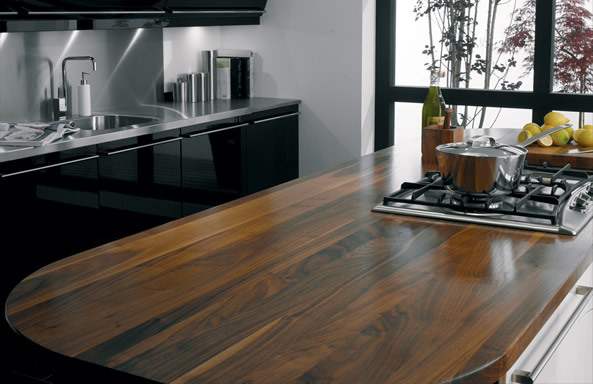 Our woodgrain finishes emulate the look and feel of real wood. 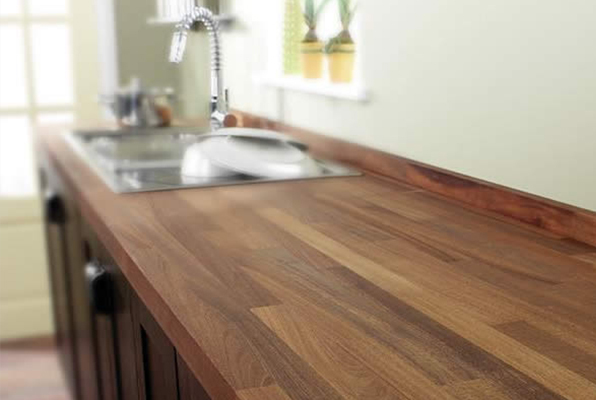 Using specially developed ‘Butchers Block’ worktop edging we have re-created the natural ‘End Grain’ look of solid wood adding value and style to your kitchen design. 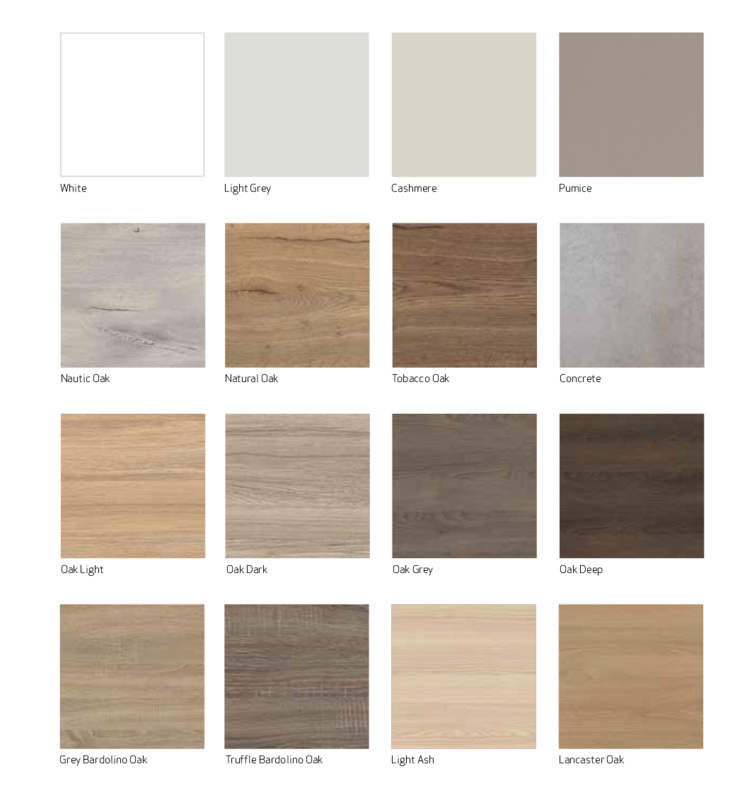 Our range has been carefully selected to match with popular cabinet finishes. 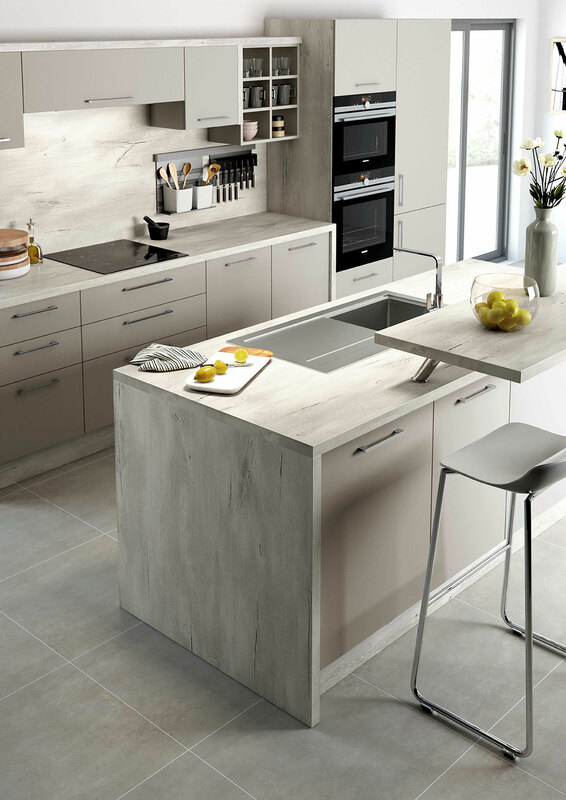 It is now possible to choose the same finish for both worktop and cabinets, producing a blended and co-ordinated design. 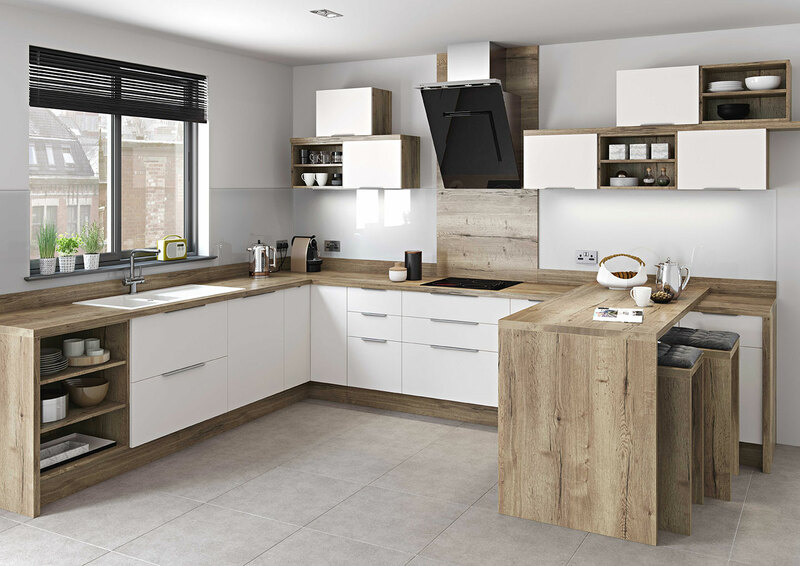 Match your choice with a contrasting cabinet front to produce an on-trend ‘continental’ look. Using the selection of panels offered by UrbanTop it is possible to produce up to the minute designs such as the encased ‘Goal Post’ effect that is particularly attractive when combined with feature islands or peninsular units. 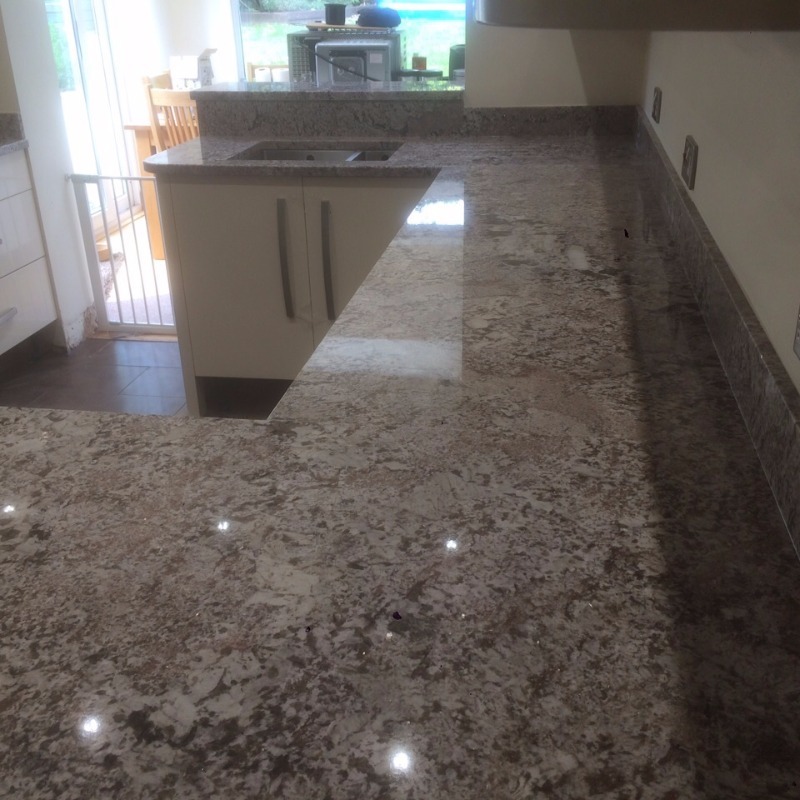 We’re so confident that you wont be disappointed with the quality of our worktops that they come with a 5 year guarantee!